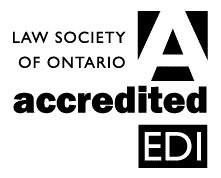 Include one of the following lines of text and the Law Society of Ontario Accredited EDI logo on all advertising and materials in relation to programs containing EDI Professionalism Hours. This program contains ____ EDI Professionalism Hour(s). Once downloaded, the Accredited EDI logo should not be separated or reformatted and there should be a .15" clearance around all sides. The smallest size that the logo should appear is .25" in height. 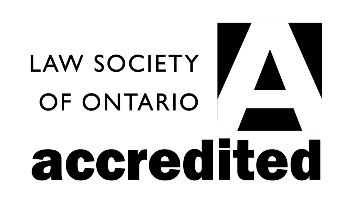 The Accredited EDI logo may be used for programs that contain both EDI Professionalism Hours and other Professionalism Hours so long as the advertisement and other materials contain language that clearly identifies the number of hours accredited for EDI Professionalism content and the number of hours accredited for all other Professionalism content. 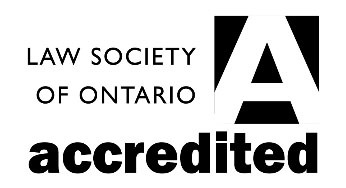 Include one of the following lines of text and the Law Society of Ontario Accredited logo on all advertising and materials in relation to programs containing all other Professionalism Hours. This program contains ____ Professionalism Hour(s). Once downloaded, the Accredited logo should not be separated or reformatted and there should be a .15" clearance around all sides. The smallest size that the logo should appear is .25" in height. If applicable, include the following line of text. Include the following line of text and the Accredited logo on all advertising and materials in relation to programs containing Professionalism Hours.